Tutor Doctor franchise owner Jennifer Rosier was recently interviewed by bizjournals.com about what it takes to convert an independent business to a franchise model. After nearly a decade of operating the business on her own, Rosier decided to switch her ownership model to a franchise brand, converting her business into a local Tutor Doctor, a fast growing at-home private tutoring franchise. For Frank Milner, it's all about the journey. Milner, CEO of Tutor Doctor, sees his role in the Canadian franchise brand as a natural extension of his passion and determination to make organizations succeed and to provide customers with the best products and services possible. And while it's the journey that motivates him, he knows that he doesn't make it alone. "I like to make the journey to success enjoyable for everyone involved." We are pleased to announce that Tutor Doctor was recently named the recipient of the Canadian Businesses Excellence Award for Private Businesses. The award recognizes businesses from all industries that demonstrate a strategic approach to successfully improving performance and achieving goals. Tutor Doctor President Frank Milner was recently featured on Fox News! Frank was part of a segment on seasonal job opportunities available across the US. Specifically, he spoke about the opportunities for tutors across the country. Tutor Doctor franchise owner Jeffrey Frichner got into education franchising because of one simple thing - his children. As a father of four, he’s seen his children graduate from such illustrious institutions as Cornell University and California Polytechnic. Through his children’s education, Frichner saw the importance of studying and working hard, and he saw how Tutor Doctor could help students do that. Perhaps that’s why The Temecula Patch, a local news outlet, approached Jeffrey to talk about everything from education advice to his three favourite books (hint: one of them is a classic by Fyodor Dostoevsky). Tutor Doctor President Frank Milner was featured on SiriusXM Business Radio’s Measured Thoughts in a one-on-one interview with host David Reibstein. Frank discusses the goals and strategies of the business, including our unique social media marketing strategies, the role of technology, and our proven methods for franchise development. Tutor Doctor’s own Alison Parker and Lacey Frank were interviewed in the Panama City News Herald. Frustrated by the lack of tutoring services, former teachers Alison and Lacey put their heads together and started their research into tutoring companies. The pair came across a company called Tutor Doctor, which allows people to purchase franchises and run their own business under the company's name. Tutor Doctor was special, Parker said, because of the program's commitment to building relationships between the tutor, student and family. Tutor Doctor franchisee Misty Sheffield recently spoke to Cherokee Tribune and Ledger News about her experience with Tutor Doctor. Misty talked to the publication about growing up in Northwest Georgia, and how she transitioned from paralegal to entrepreneur. Tutor Doctor franchisee Matt Kerr was recently featured in the Bath Chronicle! Matt spoke to the publication about his experience as a teacher, and what made him want to make the switch to franchising. When Jon-Anthony Lui was growing up, he watched closely as his father achieved success in franchising, selling products such as real estate and insurance. But the bright young entrepreneur found his niche when he began working for Tutor Doctor, which offers one-on-one tutoring to children in the home. When Ashley Mulcahy was earning her teaching degree at San Diego State University, she needed a little extra money. So in 2011 she answered an ad for Tutor Doctor, an in-home education franchise. Millennials have a huge advantage as entrepreneurs. Far more optimistic than older generations, these people younger than 35 are more willing to try things Gen Xers and Boomers tend to dismiss. That's according to Ashley Mulcahy, 25-year-old owner of Tutor Doctor Orange County and a top performer in the franchise system, serving 20 cities in nine territories with a network of more than 100 tutors. Here's her advice on how Millennials can dominate in business. Young Tutor Doctor franchisee couple, Jon-Anthony and Clarissa, talks about why Tutor Doctor was the perfect franchise for them to get involved with, what set the brand apart from other concepts, advice for fellow husband-and-wife business owners and those considering investing in a franchise with their spouse, along with their plans to continue growing their Tutor Doctor territories." VAN NUYS, Calif.–(BUSINESS WIRE)–Tutor Doctor, the fastest growing “in-home” private tutoring franchise worldwide, is honored to announce the recent accomplishment of Retired USAF Colonel Bob Rosedale, owner of Tutor Doctor Boise. As a result of Rosedale’s dedication to the veteran community and collaboration with Tutor Doctor’s Operations Team, his Boise-based business secured a $4.66 million five-year award through the U.S. Veterans Administration (VA) to provide tutoring services to military veterans as part of the Veterans Affairs Vocational Rehabilitation Program. International expansion isn’t just for behemoth brands with thousands of units. When Toronto-based Tutor Doctor first dipped its toes into franchising overseas in 2009, it had about 50 franchises to its name in North America. A new summer camp in Sudbury wants to create more well-rounded athletes. Diane Wilson from Tutor Doctor Sudbury and Marc Savard from RHP Training Centre were in studio to tell us about Body and Brain Bootcamp. In the June 20, 2014 issue of USA Today, for the second year in a row, Tutor Doctor, the fastest growing “at-home” tutoring franchise worldwide, has been recognized as one of the top 50 franchises for veterans. 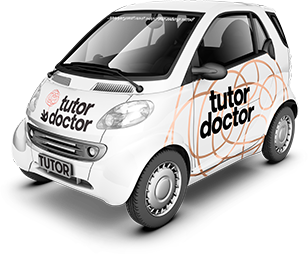 Tutor Doctor arrives in Australia! International tutoring business Tutor Doctor began in the US about 10 years ago. This one-on-one learning system is now heading for Australia. Tutor Doctor, the international brand for one-on-one tutoring, is now headed to Peru where it will help students to learn more effectively. Our tutoring franchise program was voted number one in-home tutoring franchise worldwide by Entrepreneur Magazine. They also won the Child’s Magazine’s Parents Choice Award in 2010, 2011, and 2013 and the Top 50 Franchises for Minorities, National Minority Franchising Initiative.